In the living room of last month’s Atlanta Symphony Associates Decorators’ Show House, did you notice a pair of vintage French-style bookcases with a soft, lustrous finish the color of honeyed cream? Or last time you dined at No. 246, did you admire the rows of zinc-topped tables? Where do style-setters like designer Stan Topol and chef Ford Fry find such gems? Both turn to custom furniture designer Chris Hagen, who now sells his wares through a Westside retail space, I.D. Lab. The project—more of an artist commune than a showroom—is the brainchild of Hagen and his partner, Adam Stewart. “It’s hard to describe, there are so many hyphens,” admits Hagen. “But we’re all creative types working to make the world a prettier place.” The former Army railroad depot functions as a store, an event space, an art gallery (with rotating exhibits by artists such as David Roper and Cynthia Knapp), a design studio, and even a hair salon. 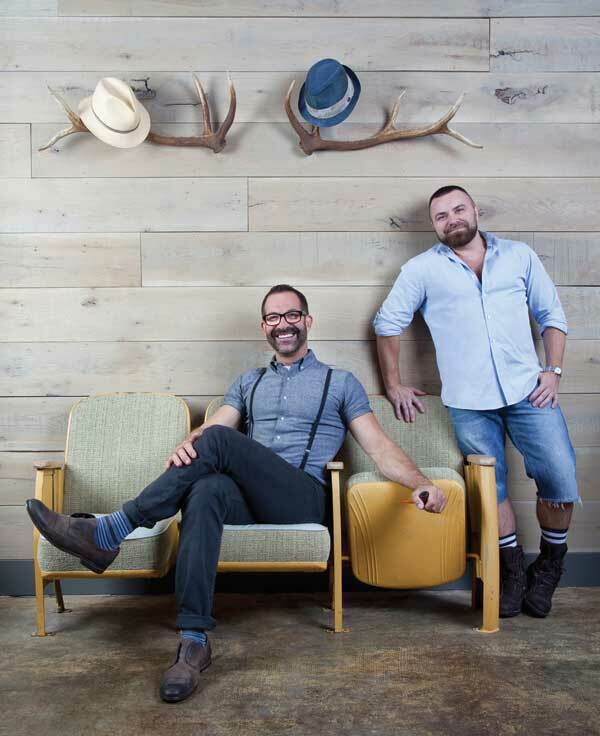 In addition to Hagen’s designs, refurbished vintage furniture and accessories are top draws. For example, a midcentury chrome rocker exchanged cracked pink vinyl for taupe linen. Seventies-era school chairs got new seats of tiger maple. And touristy black bear desk accessories took an ironic twist in high-gloss Hermès orange. This article originally appeared in our June 2012 issue.